In February, I shot a couple of Spring looks for a fashion feature in the magazine VietSun. I am incredibly honored to be featured in the publication and it was especially fun for me to share some of my fashion tips and favorite Spring styles. 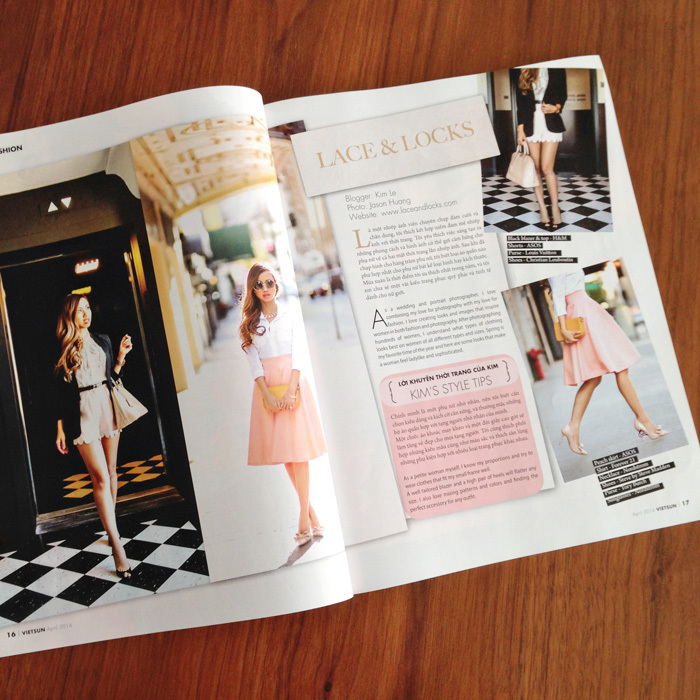 Here is one of the looks I shared in the magazine – my take on a polished and feminine Spring look.